According to the paper, MBTA is likely to see an additional 367,000 riders each day by 2021. 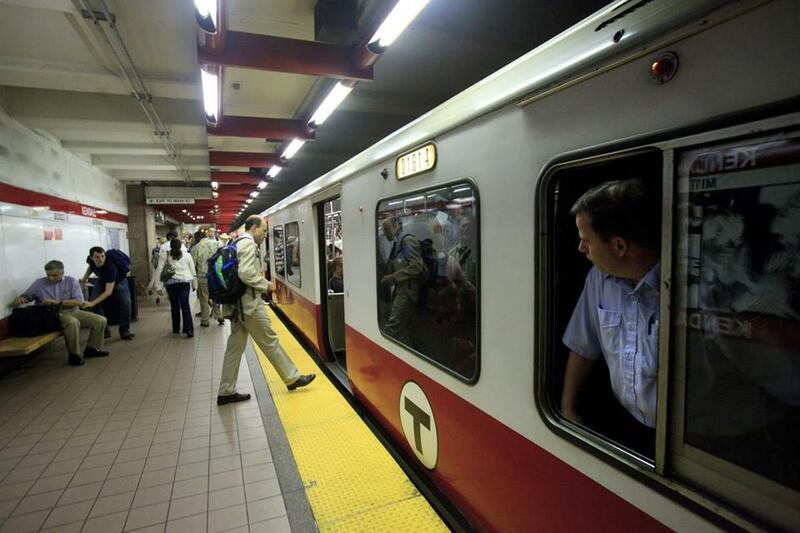 A coalition of business leaders called for the continued expansion of the Massachusetts Bay Transportation Authority on Wednesday, saying the transit system is crucial to the region’s economic growth. The push comes after the Massachusetts Taxpayers Foundation suggested in a report that the T halt funding for expansion projects for the rest of this year. That report was critical of the T’s finances and ability to properly maintain its vehicles. Douglas McGarrah, the vice-chair of the business association, A Better City, said the public should reject the notion that the T must decide between expanding the system or reforming it. The T must go forward with expanding the Green Line out to Somerville and adding tracks to South Station, he said. “These are investments that must be made and must be continued to be made, and must be made effectively,” he said during a press conference outside Park Street Station. He said the Legislature needed to look into raising more revenue to fund those projects. He suggested mechanisms such as another increase in the gas tax, or a fee based on how many miles are traveled in vehicles. In a report the group released Wednesday called “The Route to Growth,” the group said they supported strategic expansion of the system. “We must continue to invest in capacity enhancements today in order to seize the economic opportunities of tomorrow,” the group wrote in the paper. According to the paper, MBTA is likely to see an additional 367,000 riders each day by 2021. The group also pointed out that the T has expanded service capacity and added new routes at a slower rate than its peers. A Better City, the Urban Land Institute, the Metropolitan Planning Council, the Alliance for Business Leadership, and Transportation for Massachusetts were among the groups who supported the paper. Business leaders said a functioning and expansive transit system is crucial to areas such as tourism, a $16 billion industry in the state. “The T and the mass transit system is the lifeblood of our system,” said Tedd Saunders, the chief sustainability officer of the Saunders Hotel Group.